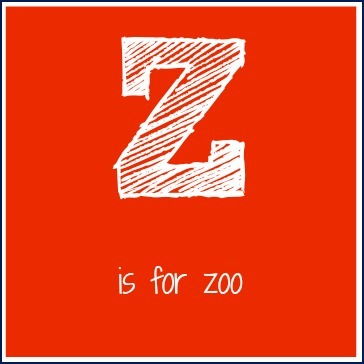 Today the activities we're sharing start with the letters U through Z! (Yesterday we shared actvities P-T, Wednesday we shared activities K-O, Tuesday we shared activities F-J and Monday we shared A-E, so check them out on our ABC's series landing page if you missed them). Both of my kids have loved utensils... though they rarely want to use them in the traditional way. :) Maybe that's because I like to come up with unconventional ways to use them too? 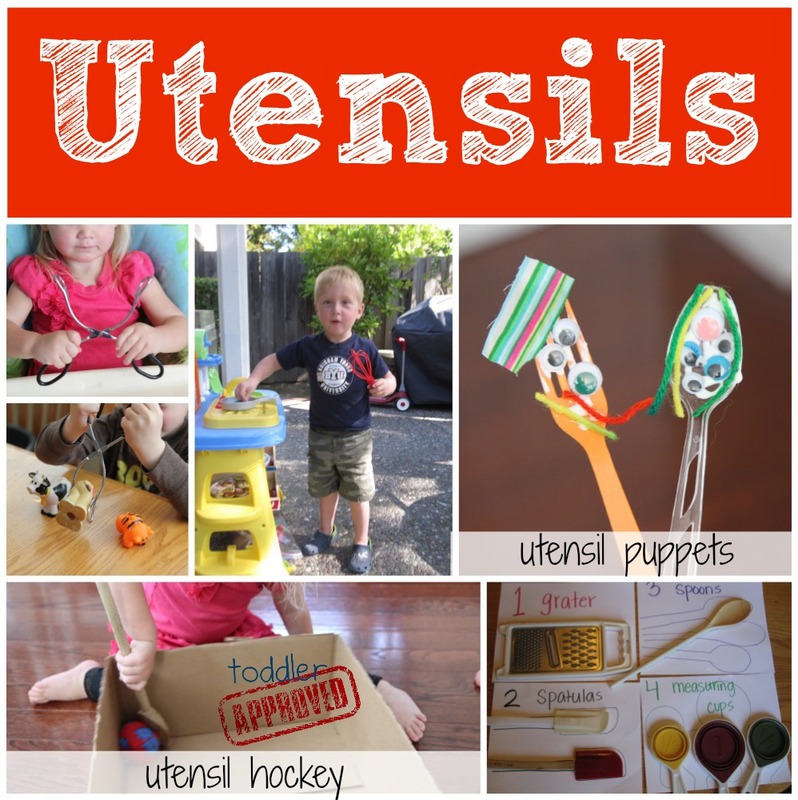 There are so many different crafts and activities you can do with utensils and many of them are great for strengthening fine and gross motor skills! A few of our recent favorite utensil activities have included playing hockey with wooden spoons, making plastic silverware puppets, doing pretend play with our play kitchen utensils, going on a utensil hunt, and picking up Little People animals using tongs. You could also play and create with writing utensils... and that could be a whole other post! Toddlers are notoriously picky eaters. Some are fabulous eaters and many kids who were great eaters as babies all of a sudden are super terrible eaters as toddlers. We are constantly trying to get our kids to eat more variety... especially vegetables. They'd be happy with chicken nuggets and Sponge Bob macaroni and cheese every day if we let them (and sometimes I do...). Over the past year or so we've done a few activities related to vegetables to help get our kids more excited about eating them (and a variety of them... not just corn and peas)! The activities that have been the most successful for us were our rainbow grocery store hunt and our eating a rainbow activities. 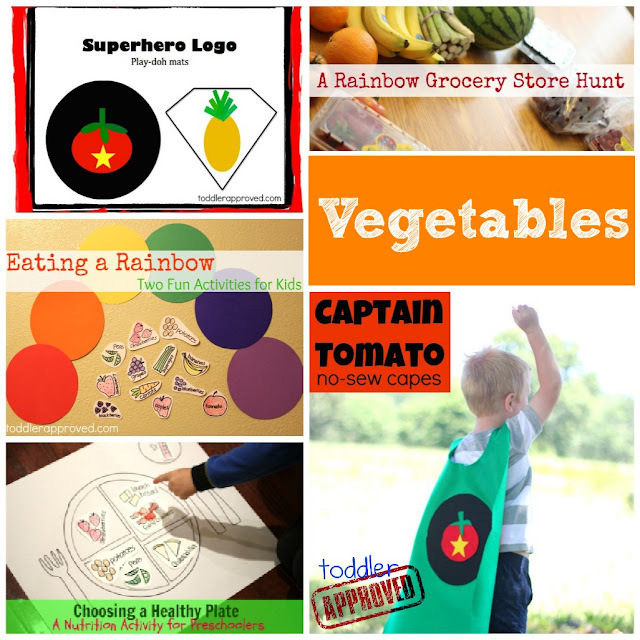 We also shared a simple choosing a healthy plate nutrition activity over at Kids Activities Blog. Do you have any tips for picky eaters? The blog Your Kid's Table is a phenomenal resource that is filled with ideas for helping to improve your child's eating. For me it just comes down to organization and time. When I take the time to have my kids help with dinner or help me grocery shop, it is amazing how much more they will eat. When I am organized enough to plan a variety of meals during the week and give the kids a variety of food on their plate... it is also makes a big difference. My 2013 New Year's resolutions include making healthier meals for our family. If you have any favorite recipes that your kids like... definitely pass them along! The large windows in our house are kinda like giant white boards. 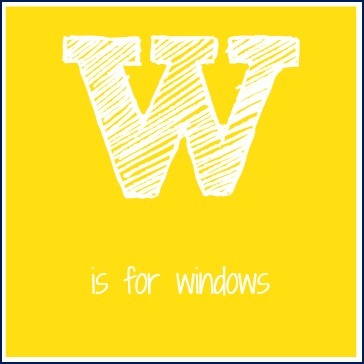 One of my toddler's favorite activities is drawing on the windows with whiteboard markers or special window markers. Both are pretty easy to clean off... and often cleaning with a rag and water (or a spray bottle) is even more fun than drawing on the windows! 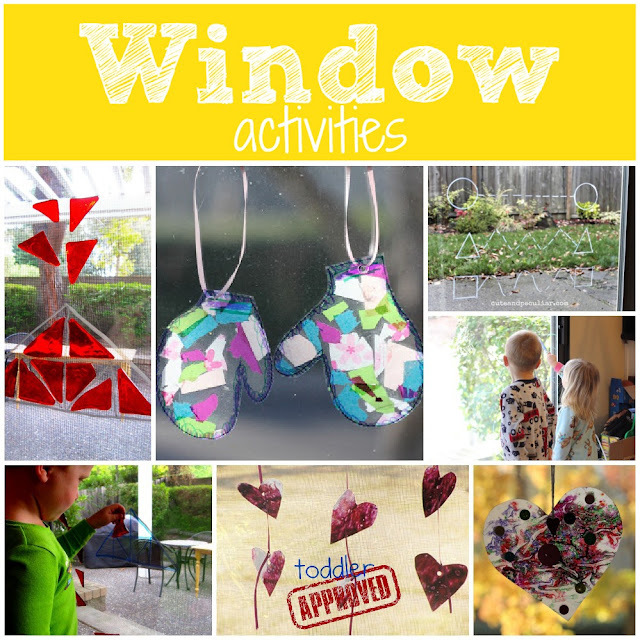 Another thing we love to buy are simple window clings from Target. I think they sell them for almost every holiday in the $1 aisle or holiday section. We use them for window games or tangram activities. We also love window sun catchers. We make these with crayon and wax paper and cut them into shapes and hang them in front of the window. Sticky paper (contact paper) can be used to make sticky window activities! Mama's Little Muse shares this colorful window art and A Little Learning for Two tried using a variety of materials from around the house to do window art. It is so fun to have such a versatile surface that is so easy to use for creating! Do you exercise every day or a few days a week? Do you exercise with your kids or alone? I like to mix it up and do both because I think it is really important for my kids to see me exercising and understand that my health is important to me... and I also think it is a lot of fun to do it together! I love to embed exercise into our day by running to the park (pushing two kids in the jogger) while my son bikes alongside of me. Once we get to the park we do circuit training sort of activities on the play structure. You can work so many muscles just climbing up ladders or going across the monkey bars. Pumping your legs on the swing is a great workout too! 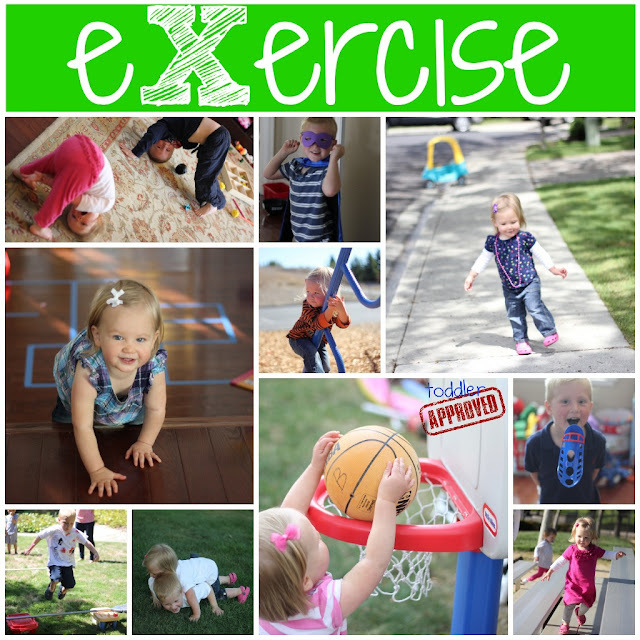 I want my kids to learn that exercise is something you can do anytime and it is a lot of fun! Some of our favorite ways to exercise at our house include dance parties, doing gymnastics in the playroom, running laps around our cul-de-sac or kitchen, and riding bikes. The kids also love to bounce around while I do the 30-Day Shred or kickboxing videos when it is rainy outside. 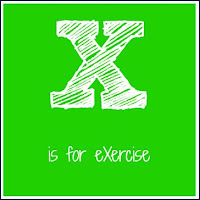 We've also created circuit training cards to vary things up a bit. The cards focus on activities in these four different areas: aerobic/cardiovascular, abdominal strength, upper body strength, and flexibility. EJ also created a circuit that is Winter Olympic themed. Many of our learning activities include movement and can be great workouts too. Here are 11 exercises for a Kiddie Workout shared by Life With Mom and Dad. How do you and your toddler like to exercise? Yarn is one of our favorite embellishments because you can pretty much add it to any project. It is also really fun to throw around, cut up, wrap around, or thread through things. Today we made a paper clip yarn zip line in our living room and we sent pictures of friends soaring down it. 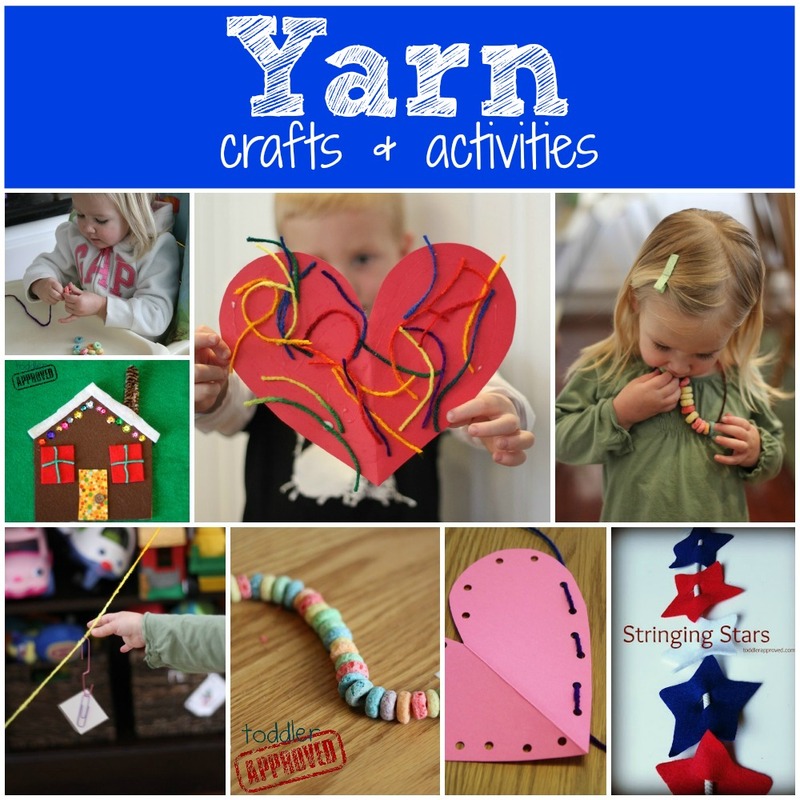 Yarn is great for using to make garlands or banners too... like EJ's stringing stars. 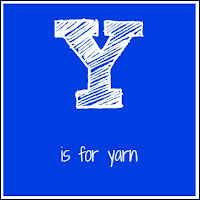 If you're looking for some cool ways to use yarn with toddlers, here are a few. Last but not least, we're at letter Z! 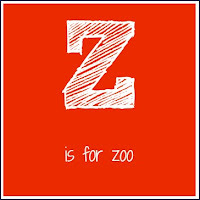 Z is for zoo... as in our house is like a zoo because my toddler is so crazy! Just kidding... kind of ;) Toddlers can be energetic, messy, loud, but are also a whole lot of fun! The most popular toddler activity at our house is destruction... which is why it probably feels a little crazy around here. Instead of getting mad, it is more fun (and productive) to channel my daughter's destructive energy so that she gets it out of her system in appropriate ways. I love this post by Creative with Kids that shares destructive artsy things to do with toddlers. We love knocking down towers, dumping toys, throwing pillows off the couch and beds, and making messes... and then we also play a lot of "clean up" games. What sort of destructive activities does your toddler love? 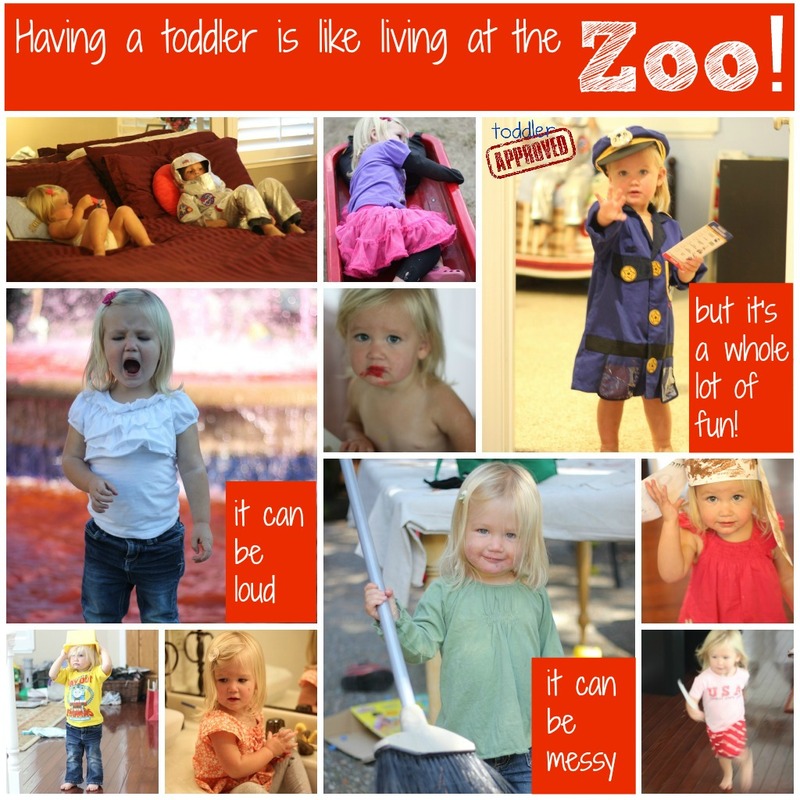 Does your house ever feel like a zoo? Hopefully it will be a little bit less crazy now that you have some many activities to keep your little ones busy! 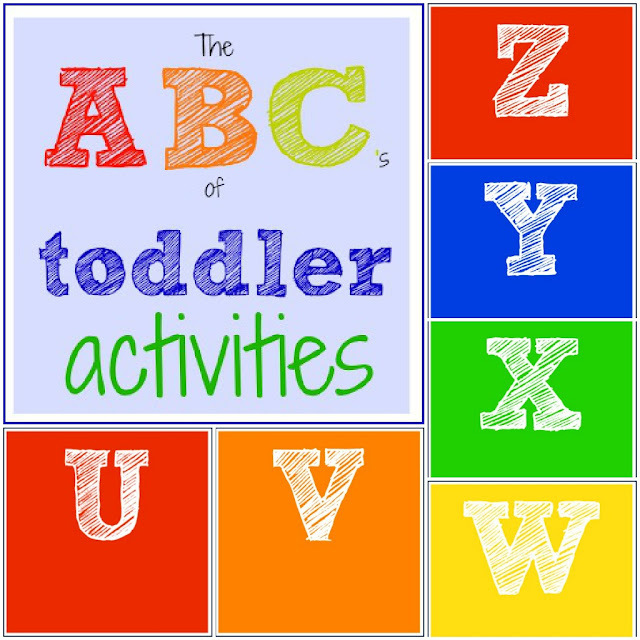 Thanks so much for joining us for our ABC's of Toddler Activities series. I hope you enjoyed the activities we shared with you and find them useful. If you missed any of the posts A-Z, you can find all of them on our ABC's of Toddler Activities landing page. Stay tuned for my post later this weekend announcing the details of this year's 100 Acts of Kindness Challenge. It starts on January 21st and is going to be AWESOME. Your ABC series of toddler activities was truly amazing! Such wonderful and engaging ideas! I wish my kids were still toddlers! Can't believe I missed this comment! Thanks so much for taking a second to let me know. We really had a lot of fun with this!